Embrace Your Phone and Stop Complaining. Please read the entire comment before you bash me. Tell me, have you ever had the following words come out of your mouth: "I hate the way cell phones and social media has ruined our lives." Stop! Please just stop. Complaining about it doesn't do any good. It's not going away; the more we complain, the more we are feeding into the negative energy of our thoughts to create unhealthy stress. Do something about it.....embrace change. Instead of focusing on what you don't like about something, focus on what you do like.....and then control it. When I was in elementary school and working on my homework, I remember asking my parents a question. I was directed to the library to find the answer. One day a box of books arrived; it was the Encyclopedia Britannica. I was intrigued by the tissue paper thin pages edged in gold. Occasionally an up-date or revision came in the mail (delivered by a human and not anyone who had the last name of .com) and we would sit down together to find the page to attach the new information. Instead of having to go to the library to research the answer to my question's, I had the luxury of having research information at my fingertips. It was an antique form of Google. The key piece of information in the paragraph above is "sit down together." Instead of complaining about the time someone your family or friends are on their phones or computer, use it as an opportunity to connect. IT ISN'T GOING AWAY....You can't run from it, so you need to run to it. Instead of allowing technology to manage your time, try managing your time to manage technology." Through technology, the world is far more accessible and faster. Sit with your children while they conduct research for school or ask them to do the research and bring it to you to discuss "together." Use this opportunity to talk with them on your discoveries. Go on a weekly vacation with your family or by yourself. "Google it!" Sit down and research a new place to explore.....talk....share. Embrace your dreams and stop complaining. Rephrase the way you tell your family to put down their phones. It is so much easier to understand and respect a parent when they say, "You are really important to me, please put down your phone so we can give each other the attention we deserve," rather than "Put down your phone....Now!" Evaluate the age of your children to determine if a phone is appropriate. Turn a mirror on yourself to examine the amount of time you use your phone and social media and give the focus and attention to them that they deserve. Set aside times to check your email, Facebook, Instagram and Twitter accounts. Place a basket at the front door and certainly beside the dinner table to place phones "on silent" for the time dedicated to family. Keep your phone in your pocket or purse when you're in a restaurant or having any type of conversation. When you're in a public place, keep it on silent or vibrate. If you are expecting an important call, let the person you're with know you don't mean to be rude but you may have to answer the phone while you're together. Focus on the positive ways technology and social media help you to connect and not the ways it diminishes you. Control it, don't let it control you......It's an ugly monster that it's not going away. Tame it! A Wave to a Stranger! I totally disagree with a radio commercial I heard the other day. The announcer claimed one of the most embarrassing moments in life is when you accidental mistake someone for someone else and you "Wave to a Stranger." Oh my goodness! If someone believes this is terribly embarrassing, they aren't putting themselves out there in life and really living. Embarrassing is when your silk wrap-around skirt falls to the floor as you're walking by the butcher counter at the grocery store. Now that's embarrassing! Take a lesson from me. Should you ever drop your skirt or pants, quickly pick them up as if nothing has happened and continue walking. Go ahead and wave to the butchers...you'll make their day; they will be talking about you all afternoon. You'll also make the day of a stranger when you wave. Notice how big they smile as they wave back. The synapses of their brains will be firing at lightening speed while they try to remember your name. This exercise is as good as a cup of coffee for recharging their spirit; and yours! I'm recharging my own spirit this week with a little R&R in Lake Tahoe. My fingers are channeling the energy from these mountains to pound the keys on my computer and work on my book titled "Hollowed." I am passionate about completing my part of this project and handing it off to the editor to fix all my grammar, punctuation and writing errors. I'm excited to share my experiences and tools to stay positive, laugh and take on the tougher moments in life. Next week my writing will be influenced by the vineyards of my home and I'll follow it up with a week of ocean breezes as they saturate my soul. I'm eager to experience the influence each of these environments will have on my writing style and ability to share. Now.... go drop your skirt or pants (not literally); wave to a stranger; and take on the day. I was recently asked if I believed the letters following your name on your business card were too boastful. I'm talking about those little abbreviations that follow your name to list your credentials, certifications or memberships in professional organizations. It was when I "Googled" these letters that I discovered the proper name for these initials is "Post-nominal letters". I've even heard these letters referred to as "Professional Alphabet Soup or Designation Scrabble." Listing too many post-nominals may look as if you're trying to arrange a triple-word score while trying to use the letter Q that is worth a solid 10 points. Back to my thoughts on the use of post-nominals....Provided they are used correctly, No... I don't feel they are too boastful when they are always in line with the letters B.I.C. B.I.C. is the abbreviation for "Because I Care". Theodore Roosevelt said it best in his statement, "People will never care how much you know until they know how much you care." Your education, experience or affiliations is of no value if people don't feel your heart. Take pride in your designations and post-nominals because they signify your commitment and dedication. Post and present them proudly BUT use them wisely. Use these initials to create an opportunity to have a conversation and discuss your responsibility, advanced education and allegiance. In addition to your dedication, these post-nominals speak to the supplemental attributes you'll bring to the relationship. M.O.M., D.A.D., F.R.I.E.N.D., S.O.N., D.A.U.G.H.T.E.R.,.....These may not be considered post-nominals but they still require B.I.C. Holding the designation or the title will have no impact if we first don't show how much we care. The professional sales trainer and speaker in me are itching to take off on a twenty page blog or jump into your office to present a workshop on the powerful ways to use these post-nominals to your advantage but I'll save it for another day or different forum. The bottom line to the message of this week is........Without exception, "People will never care how much you know until they know how much you care." If you had asked me eight years ago if I thought I’d be alive to see today, I’d have told you, No! On Thursday of this week, I turn fifty-eight years old and this age has a special significance to me. You see, my Mom was diagnosed with her pancreatic cancer when she was fifth-eight. What’s the specific connection I have to eight years ago? Well, it was eight years ago when the pre-malignant cyst in my pancreas was discovered. I made the mental “leap” that I wasn’t going to make it to the age of fifty-eight. It didn’t matter that I only had a 50/50 chance of surviving the thirteen hour surgery to remove my pancreas and the surrounding organs; psychologically, I had set myself up for a short life. Obviously, something was amiss with my thinking. I asked myself, “What is the difference between the importance of proper vision in business goals and a proper vision in life?” My answer was, “There was no difference”. Visualization is a necessary tool for preparing for anything, and everything. Without a proper vision we will aimlessly move through life or cause ourselves to die. Even when I want to meditate, I focus on my breath; heart-rate, and a sense of calm. When I plan on eating my next meal, I visualize and think about what I want to eat. When I plan a vacation, I need to identify where I want to go and plan out how I want to get there. I will also visualize the experiences I want to have along the way. One of the great quotes of Napoleon Hill says it all. “Whatever the mind can conceive and believe, it can achieve.” I believed I wouldn’t live long enough to see my fifty-eighth birthday; therefore, I wouldn’t. It was when I changed the vision I had for my life expectancy that my health followed suit. I’ve learned how to conquer numerous health obstacles by adjusting my vision. I have found great power from the words I tell myself. Occasionally my attitude and vision veer off course and I end up in a rut. (RUT = Repetitive Unproductive Thought) It is only when I make adjustments in my thinking that I’ll get back on track. Today I see myself celebrating many more birthdays. To achieve these birthdays, I visualize the road before me to be filled with healthier eating and good management of my insulin and blood sugars. Because of my vision, I am confident that my journey is filled with more rest stops of joy, discovery, celebration and peace. I’m especially thankful to people like my Mom; people who allowed the research gained from their experience with cancer, to be used to discover a cure for you and me. It is my birthday wish that you will also develop a positive vision for a long, healthy and happy life. Visualize your goals; see yourself achieving each goal you design and clearly see yourself enjoying life. Halloween has just passed and the door is wide open for the Thanksgiving, Hanukkah, and Christmas holidays to present themselves. Throughout the season, we frequently spend time with friends and loved ones and it's common to share gifts. When you receive a gift this holiday season, would you ever think of taking it and immediately throwing it on the floor? Would you ever thoughtlessly throw a gift back at the person who gave it to you? Of course you wouldn’t. Then, why do we take the gifts we’re given on a daily basis and do just this? When someone gives us a compliment, why do we regularly throw it on the floor or thoughtlessly throw it back at a person? Think about it; it’s exactly what we do. Someone tells us, “You look really nice today.” Quickly and without thought, we reply, “So do you”. We often hear our guests say, “Wow, this dinner was amazing”. We degrade and smash their compliment/gift and reply, “Oh, it really was nothing. It only took minutes; it's an easy recipe”. When someone compliments our shirt, shoes, or piece of clothing, we frequently say, “These old things, I’ve had them for years”. We treat compliments like a sticky, jello-like goo that we can’t hold or handle. Our instinct is to throw it back at the giver or drop it and let it slide to the floor. When someone compliments you, open it up and try it on. Wear it and simply say, “Thank you”. When your instinct is to dismiss the compliment or give something back in return because it feels awkward, tell the giver, “Thank you, that makes me feel good to hear that from you.…thanks for sharing”. Tossing back an insincere response to their gift isn’t the answer. Cherish their comment; they’ll appreciate it and so will you. 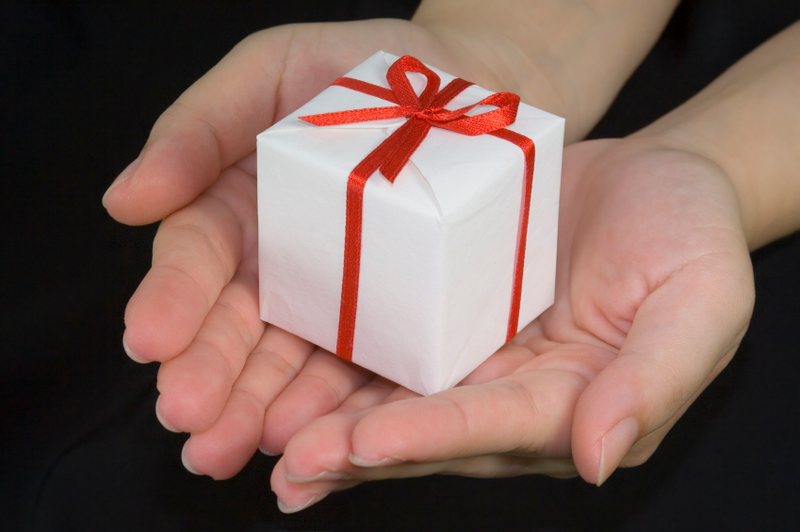 A simple, “Thanks for noticing”, will acknowledge the gift and allow the giver to share in your joy. When giving a compliment, try acknowledging the person and not always the product or end result. When you want to compliment an article of clothing, say “That’s a beautiful shirt; YOU sure know how to pick great clothes”. How about, “This was a great party; YOU sure did a great job at pulling it all together and making it fun”. Women have a tendency to compliment another woman’s make-up. I appreciate it when someone says, “Your make-up looks really great, YOU always know how to make your eyes stand out beautifully”. When you compliment someone’s accomplishments at work, tie it back to the person who accomplished the task. “Great job on closing the Johnson deal, YOU put a lot of time into that transaction, it shows”. Now, take it one step further and personalize your gift. You wouldn’t buy someone a blank trophy for winning an award without having it personalized with their name engraved on it; personalize your compliments too; engrave their name. “Dinner was really delicious MARY, YOU made the holiday special for me…thank you”. In gift giving, it’s commonly said that, “it’s the thought that counts”; put extra thought into the compliments/gifts you give. Welcome and accept the gifts you’re given every day and tie a bow around every thoughtful gift you give to others. Every day is a celebration! Thank you for all of your comments to my blogs; it is YOU and YOUR comments that make my writing and sharing such a joy for me….please, keep them coming; YOU fuel me. Are you "Fascinated" or "Frustrated"? The power of words has always intrigued me; especially the words we tell ourselves. Now, as a case in point, let me tell you about some words I told myself for many years. With the start of each year I was inspired, motivated, and focused to get healthy. Without fail, I was successful in losing weight; only to gain it right back. Contributing to my lack of permanent success was my vocabulary. I was telling people, “I lost the weight”. When I think about it, I’ve never been happy to “lose” anything. When I was a young girl, I “lost” an Olympic commemorative coin. I made it my mission to find that coin; and I did, along with extra stuff. It made sense to me that when I tell people I “lost” my weight, my sub-conscious will help me find it; and it did, along with extra weight . Conversely, when I cleaned out a cluttered closet or a cabinet in the garage, the stuff remained GONE. I realized that I was telling people, I “got rid” of the junk. When I changed the words I was using, I was in more control and the weight stayed away. Yes, I “got rid” of the weight. I will continue to “get rid” of additional weight, and my attitude will always be lighter because of my vocabulary. With the very first awareness of their vocabulary, the participants in my seminars improve their attitudes. Participants feel a powerful change in their outlook when they replace the word “frustrates” with “fascinates”. You may not be attending one of my workshops right now, but try it. Instead of being impacted negatively by the actions of someone else or the situation, you’ll be "curious" to find a solution. Changing from “frustrated” to “fascinated”, you have a desire to better understand. Have you ever said, “It really frustrates me how you think!” Instead you’ll say, “It really fascinates me…” At the very least, you’ll smile and not continue to fuel your frustration. Try this exercise with something that currently “frustrates” you. Write it down. “It really frustrates me how………………….…”. Can you think of solutions to this frustration? Do you even feel the desire to come up with a possible solution? “It really fascinates me how…………..….”. Before you start to write down all the possible solutions to this situation, focus on your attitude. Notice your willingness to move in a positive direction. Recognize your new willingness to take the steps to improve the circumstance. Now, write down the possible solutions to alleviate this situation. Look at the powerful change that comes from using the word “get” instead of “have”. You’re sending a powerful message to your children when you tell them they “get” to do their homework, instead of “have” to do their homework. This little change also helps to teach gratitude and fuel a more appreciative attitude. We “get” to go to work. We “get” to go to the gym and get fit. We "get" to clean the house. We "get" to work in the yard. Do you ever feel “overwhelmed”? Simply saying the word “overwhelmed” will make you feel overwhelmed. Whenever I use the word "overwhelmed", I'm told that I run my hands run through my hair; spiking it up from root to tip. This gesture conveys to everyone how stressed I’m feeling. I've learned to change the word “overwhelmed” to “in demand”. Pause here for a moment and think about it. Feel the smile on your face when instead of saying, “I’m really overwhelmed lately” you'll say, “I’m really in demand lately”. Feeling "in demand" means we're wanted; we're needed; we're IN DEMAND. When we are “in demand” we are in control of ourselves. That is an extreme way for me to prove my point; but I did. You smiled. It starts with a small elephant and a big rope. You know the story, it's how humans control an animal that is greater than us in both size and strength. When a young elephant is being trained, a thick and heavy rope binds it to a spike in the ground. It may struggle for a while but eventually it gives up the fight. The baby elephant learns to live within the limits and confines of the rope. It can only reach out as far as the length of the rope will allow. Obviously, humans can't overpower a large elephant; but when the baby elephant has been trained in this manner, physical strength has no bearing. The elephant is controlled by his own limiting thoughts. It has convinced himself that the pulling of the rope and the resistance is stronger than his own strength. It gives up in defeat. Now, as a mature and large elephant, a simple string around his leg will provide all the control necessary to keep it restrained, restricted and mentally imprisoned. I'm sitting here looking at my ankles and I don't see any strings, yet I know I'm bound by some limiting thoughts. There aren't a lot of them but still, I know they exist. Many of these thoughts have been self-imposed and others have been unintentionally placed by influential people who have crossed my path in life. These limiting thoughts are more apparent when I look at my dreams and desires. When I take one of these dreams and go through the steps to turn them into a goal, SNAP-- there goes the jerk and pull from the rope of doubt and insecurity. Now, as a case in point, let's look at this very blog. I continued to tell myself that "I'm not a writer, I'm a speaker." For over five years I wanted to write a book but the tug of the limiting thought kept me from achieving my dream. I discovered the weakness in the rope that bound me by asking, "Who told you that you aren't a writer Annamarie? What was the motive for telling you this?" Imagine my surprise to discover that It was actually me who told myself that I wasn't a writer. I discovered that it was my own personal motivation to inspire myself as a speaker and not to limit myself as a writer. I didn't intend to bind myself up; and yet I did. Little unobtrusive thoughts constantly cross our minds. Consciously we give them little regard but our sub-conscious is listening loud and clear. Take a look at your dreams and listen closely to hear the sound from old ropes that tug, bind and limit you. Some of the limiting thoughts may sound like, "You're too old for that." "You tried that once and it didn't work out then." "It's not worth it." "Why bother." "You'll never be able to....." Cut those ties and replace them with positive and constructive comments that free you to reach out past the length of your ropes. Take a look at "why" the rope was put there in the first place and free yourself. Be aware of the comments you tell yourself and what you recklessly say to others; especially children. You are an influential person in the lives of others and what you say can bind them or set them free to reach incredible heights. Your positive words are the fuel to strengthen and encourage a young personality. Speak with intention and thoughtfulness. I am a writer; a storyteller; and a speaker of words. I may not be on the stage right now but I'm having fun between performances. When on stage, one of my greatest rewards is to see the look on someones face when we connect and share "a moment" of oneness. Your comments and questions are now my connection. Look at your dreams and cut anything that binds and prevents you from flying. Free yourself up to move toward your dreams; establish a goal; and achieve success. The thoughts that limit you...they aren't real. Fly! Sing Louder....The Stronger Voices Win! Do you remember when our elementary school teacher divided the class in half and each side was assigned a song to sing? One half of the class was instructed to sing "Row-Row-Row Your Boat" and the half was assigned the song "Are You Sleeping Brother John?" I remember the concentration I had to have to stay focused on the song I was assigned. Often the voices on the other side of the classroom would cause me to lose focus and start to sing their tune. Frequently we could all end up singing one song or start singing the different song than what we started. Some kids would put their hands over their hears to avoid being influenced to go off track. This example is similar to the influence that negative voices from other people can have on us. When you're trapped by negative people, it can be difficult to stand out and sing a positive tune. Before you know it, you feel the heaviness of their attitude and chime in with their hopeless and helpless tune. Don't do it! Sing out a positive and hopeful tune and focus on what you enjoy. Seek out other positive voices and surround yourself with good energy. I'm tired of the negative bashing of America. That negative song that bashes politics, policies and our people. Frequently posts are made on Facebook and other social media sites that trash -talk our country. One negative comment after another without so much as a positive statement is numbing and disheartening. I fight it! Conversely, I don't support the Ostrich approach of sticking your head in the sand and pretending that problems don't exist. I support a balance; a meshing of outlooks and attitudes. Blasting our country; our politics and our people insistently, won't make your voice heard any more clearly. In fact, when you don't balance your negative voice with positive comments, your voice is viewed only as routine negativity and not constructive thought. People tire of you and will eventually avoid you all together. The negative commentary has no impact except to bring others down. Nothing positive will result. Take a moment to look at what you do like about America....and post that thought or feeling. Post what you do like about a situation or circumstance. Let the positive voices give you perspective to make positive change for the right reasons and not simply because it's easier to complain. Seek the higher and tougher road to post constructive thoughts. It was so refreshing to have my family from Denmark visiting with me this last week. It was a joyful sound to hear them sing about the beauty of our country.....America. I heard about the friendliness and helpfulness of the American people. I listened to their admiration of our systems and policies as well as their thoughts on improvement. I enjoyed the light in their eyes as they shared their experiences of the Grand Canyon; Yosemite; Las Vegas; Los Angeles and numerous other locations across our country. They never reduced their admiration and loyalty to their own country as they talked about the challenges facing Denmark and Europe. They balanced their voices of positive and constructive views of Denmark and America. It was a wonderful reminder of how beautiful the Land of the Free and the brave really is. Harmony comes from a balance of tones. Think of the positive attributes you have in your life and focus on them as you constructively address the issues. Sing out in a stronger voice to share the joys you have and the blessings you've received. Drown out the negative and useless bashing of life and tell the negative influences that you're not going to sing that song. Be proud. Be strong. Be hopeful. Be constructive and not critical. With a positive voice, you'll be heard. Please comment on what you do love about your life; your country; and....you! What do you love about yourself and your life? Today I learned about the non-profit organization named Project Semicolon. The goal of the project is to restore hope and confidence in people who are troubled by addiction, depression, self-harm, and suicide. The non-profit encourages these people to draw or tattoo a semicolon on their wrist. The semicolon symbolizes that the difficulties they face are not the end but a new beginning. This has me thinking! Many of us wear bracelets to express and support a cause. There are bracelets to bring awareness to Alzheimer's, Parkinson's as well as various forms of cancer and a host of challenges and adversities. We often wear symbols to express our religious and spiritual beliefs. A military uniform is not only used to identify each other as comrades but to also reflect the dedication and sacrifice they have given to our country. These bracelets and symbols are beautiful opportunities to heighten our awareness and more easily identify common bonds. We use these bonds to quickly relate and connect. When we recognize the symbol, it is as if we say, "aha, I understand you." If someone isn't wearing a bracelet or symbol, am I to assume they don't have a cause, challenge or concern? Because it isn't visible doesn't mean it doesn't exist. The stars in the sky aren't visible in the daylight but I still know they are there. Just as there are a limitless amount of stars in the sky, there are an unlimited amount of challenges and causes that impact each one of us. If we tried to express each and every challenge we have, some of us would be covered from head to toe with tattoos, bracelets and symbols. I encourage and endorse the power that these symbols have to help us connect with each other. It isn't enough to simply wear a symbol or to make note of what symbol someone else is wearing. Instead, please look at these visual symbols as opportunities to connect with someone and to better understand what moves and inspires them. But just because you don't see the sign doesn't mean that their challenge doesn't exist. We don't pick up a bracelet in the morning that expresses an emotional need where we could use some support. It's unrealistic to think of each of us putting on a bracelet that said, "I'm sad." "I'm scared." "I'm fragile." "I'm lonely." "I'm worried." "I'm disillusioned." BUT...it is not unrealistic to assume that everyone can use some kindness. On the days when you are overflowing with kindness, I know you could use some too. I'm exactly the same. Similar to a hug, when you give kindness you'll simultaneously receive some. Please invest in a moment to look at the stars in the sky; count your blessings and share your comments with me. Thanks for your support by signing up to receive the blog weekly. Let's get the "Just" out and be an "I am...!" Let’s get the “Just” out and be an "I am...!" “Is she holding a pair of Aces; a Royal Flush; or is she bluffing?” Look at my face and I’ll tell you everything you want to know. Put sunglasses on my face or put a hood over my head; it won’t matter. Regardless of what you put on my head or eyes, my expressions are more than likely going to tell you exactly what you need to know. It’s precisely because of these expressions that I don’t play poker. It’s through my smile; my touch; and the combination of my words that I best connect and communicate. I wish there was an app to allow me to touch your hand while we chat. I would certainly prefer to sit beside each one of you to connect; but, for now I’ll use this medium to convey my thoughts. Words are wonderful tools capable of caressing; expressing; cutting; and conveying our thoughts and feelings but they are severely limited. Sadly, some words have dual meanings that confuse and complicate our communication. The list of homonyms in our language is endless. The constant chatter in our own private thoughts is also endless. On a conscious and sub-conscious level we are capable of building ourselves up and tearing ourselves right back down. This tear down happens in one quick and virtually unnoticeable thought we say to ourselves. Have you noticed how some people start out telling you about their occupation or hobby with the words, “I’m just…. ?” When they begin their statement with the word “just,” I feel them shrink. So often I hear people say, “I’m “just” a secretary;” “I’m “just” a nurse;” or, “This is “just” a hobby of mine.” The word “just,” is one of those homonyms that can mean equitable and fair. It can also mean blameless and aloof.